Looking for an Internship in Environmental Studies or Public Policy? The Environmental Policy Program is hosting an Internship Information Session designed for both undergraduate and graduate students. 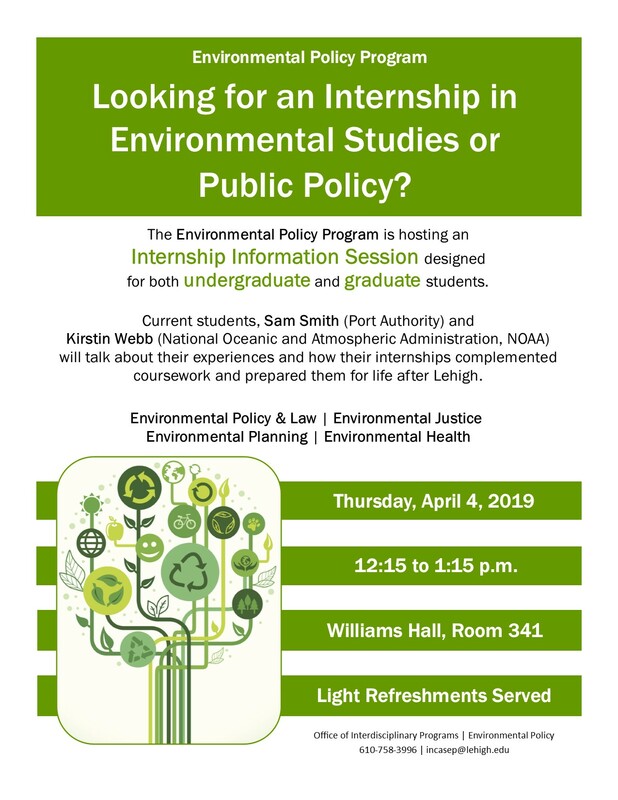 Current students, Sam Smith (Port Authority) and Kirstin Webb (National Oceanic and Atmospheric Administration, NOAA) will talk about their experiences and how their internships complemented coursework and prepared them for life after Lehigh.